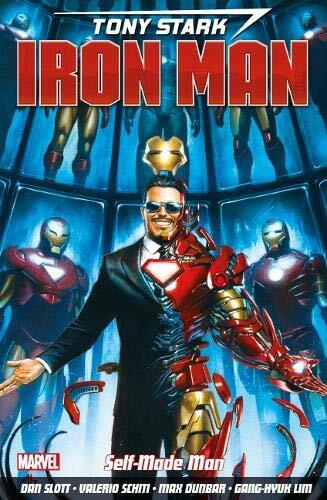 Tony Stark has never been the kind of guy who’d let a little thing like being nearly dead slow him down and after a brief period as an AI, he found a way to come back from the other side better than he was before. Of course he did, he’s Iron-Man and Tony being Tony and the life and soul, quite literally as far as the former goes but not so much the latter (but more of that later), of the party and liking to keep his friends close and enemies closer, he also brought James Rhodes back to the land of the living. Who, unlike Tony, was completely and totally dead. Yeah that James Rhodes, the man also known War Machine, whose death at the hands of Thanos was responsible for triggering the whole second superhero Civil War. At least it was as far as Iron-Man was concerned, the same Iron-Man who ended up mostly dead in the same conflict that was started by War Machine being made dead. With me so far? Of course you are, you’re all smart, happening cats who have sort of got your whatnot together. Anyway, Tony and James were dead (or mostly dead), but they’re not anymore and it’s a new dawn, a new day and out with the old and in with the new and with Dan Slott onboard to guide his used-to-dead-but-they’re-not-anymore players destinies, the future is looking bright for everyone at Stark Industries in Self-Made Man.